If you have never played the Lego style of games before, then you might want to start off with a different title and you should definitely avoid the handheld versions. Lego Star Wars III: The Clone Wars brings the unique and generally very entertaining Lego style to the Nintendo 3DS, but it fails to capture the magic that makes these games so much fun. If you have played the console version of this game, avoid this title at all costs. It is not a direct port, it is a severely cut version of it. The console version is a fun and original game using a style that has been proven. The 3DS version is not. You play through the Clone Wars as several characters, each of which has their own ability that you must use to complete the section they are assigned to. For example, early on you take control of Yoda as well as light and heavy troopers, and you switch through the three with the touch of a button. As you progress you will need to utilize each character’s abilities to progress. Some areas will require a Jedi, while others will ask you to shoot certain obstacles as a light trooper. The problem is that there is never any real challenge to this. You will come across an obstacle, use the appropriate character to interact with it, then move on. There is even a hint in the form of R2-D2 who just tells you who to use. And this is a problem with more than puzzles, it is an issue with combat and platforming too. There just isn’t any real challenge to it, and the majority of the time you will find yourself feeling like you are repeating the same thing over and over again. It can quickly become monotonous. There are a few fun sections sprinkled in, but they are too few and far between to merit the tedium you need to endure to get there. The graphics look decent, but the level design is sadly unimaginative. It is fine to have good graphics, but when those graphics are used to display a mountain or a field over and over again, how it looks becomes utterly irrelevant. That is a problem that bleeds into the 3D as well. The 3D effect looks fine, but it is never really used to any real advantage. The platforming is the same with or without it, and it feels like it is just there and not a part of the development for this title. This game is never bad, but it is definitely not good either, and it can’t compare to the majority of Lego titles on the consoles (including the console version of this same game). If fear leads to anger, and anger leads to the dark side, what does boredom lead to? 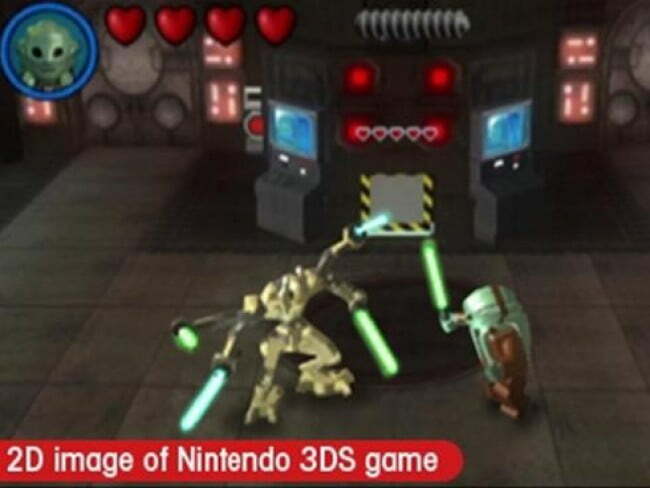 The answer is Lego Star Wars III: The Clone Wars for the 3DS.